Set your calendars for the Easter event of the year! Easter only comes once a year. 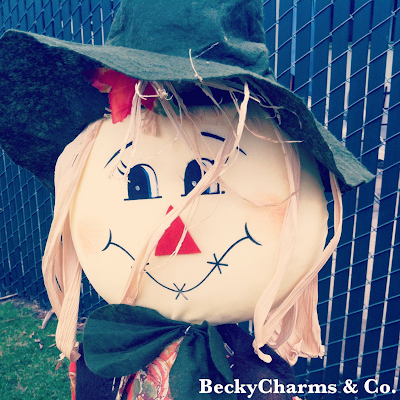 ...Don't miss it, or you'll have to wait a whole 'nother year for its Resurrection. HA! The EGGstravaganza event at Concordia Church in Eastlake/Chula Vista is so much fun for the entire family. 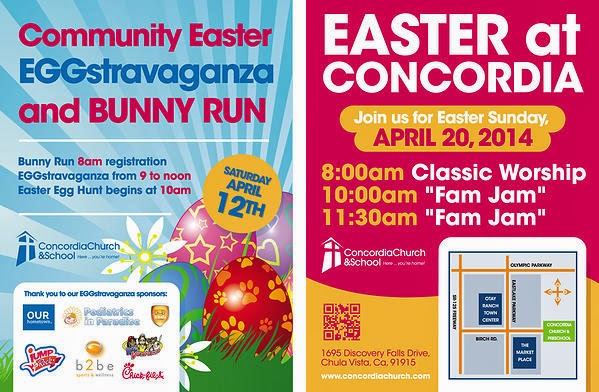 It includes an Easter Egg Hunt divided by age groups, local community booths with loads of coupons and exclusive deals, FREE photo ops with the Easter Bunny, and if you like to run, there is a fun Bunny Run early in the morning before the Eggstravaganza begins!! Our family attended last year for the first time and we had so much fun. We received so much information from local businesses, including a FREE Trial Class and Registration to San Diego Dance Academy with Miss Franchesca. That was a cool deal. Eastlake Tavern & Bowl were there last year, as well as cupcake shops giving samples. There weren't really any drinks last year, so you might want to bring one with you. Who knows? This year will surely big bigger than last, and even more EGGstravaganzAMAZING! !